A University of Calgary-led project funded by an NSERC Strategic Grant and AERI with additional funding from industry partners. The study will perform a comprehensive characterization of large-scale CO2 storage opportunities in the Wabamun area and analyze any potential risks. As a benchmark, the project will examine the feasibility of storing 20 million tonnes (Mt)-CO2/year for 50 years within 60 km by 90 km area extending south of the Wabamun area. This gigaton-scale storage project is one to two orders of magnitude larger than the commercial projects now under study. This research will fill a gap between the province-wide capacity estimates (which do not involve site-specific studies of flow and geomechanics etc.) and the detailed commercial studies of small CO2 storage projects currently underway. Unlike the commercial projects, this project is planned as a public non-confidential project led by the University of Calgary (U of C). 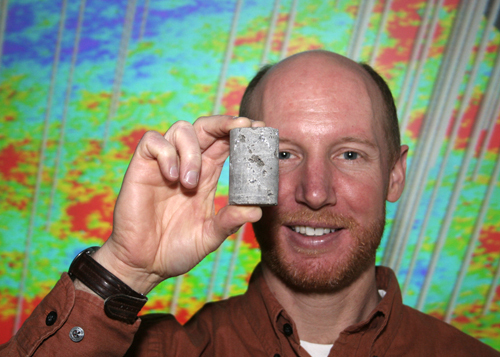 The WASP Core Team is soley responsible for conducting the study and for its results. Project Sponsors: Alberta Energy Research Institute (AERI), Natural Sciences and Engineering Research Council (NSERC), TransAlta Utilities Corporation, TransCanada Pipelines, ARC Energy Trust, Penn West Energy Trust, Capital Power Corporation, Enbridge Inc., ConocoPhillips Canada Resources Corp., Encana, StatOilHydro Canada Ltd., Total E&P Canada Ltd., Computer Modelling Group and Golder Associates. P. Eng. CalPetra Research and Consulting Inc.
P. Geol., PhD., President - Stoakes Consulting Group Ltd.